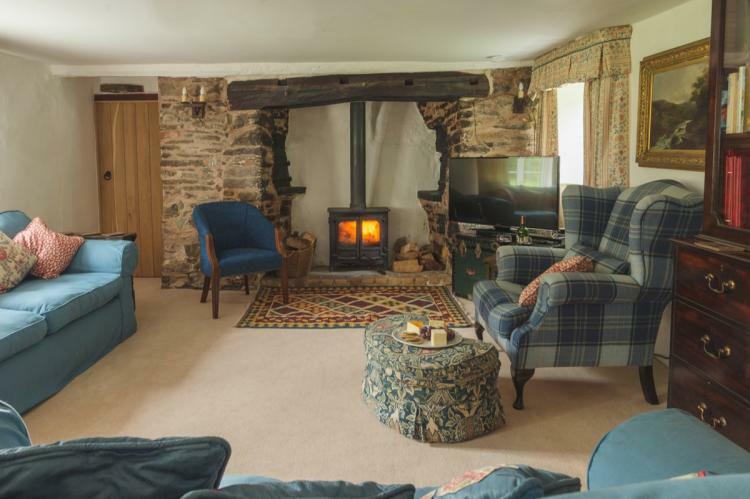 Bratton Mill Farmhouse is a charming former mill on the edge of Exmoor, A dog friendly holiday rental dating back to the 17th century. 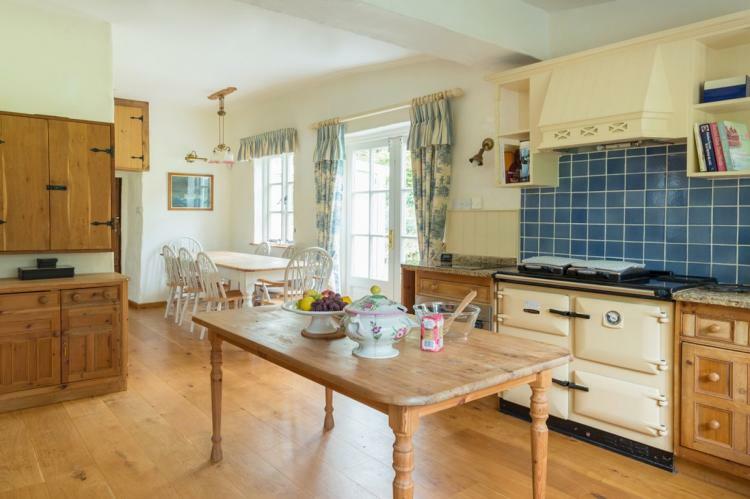 Located just a short walk from the village of Bratton Fleming The property has recently been redecorated throughout, yet retains it’s character and charm, we think you will feel at home as soon as you walk through the door! Bratton Mill Farmhouse offer spacious self-catering holiday accommodation for up to 8 guests. 2 dogs welcome. 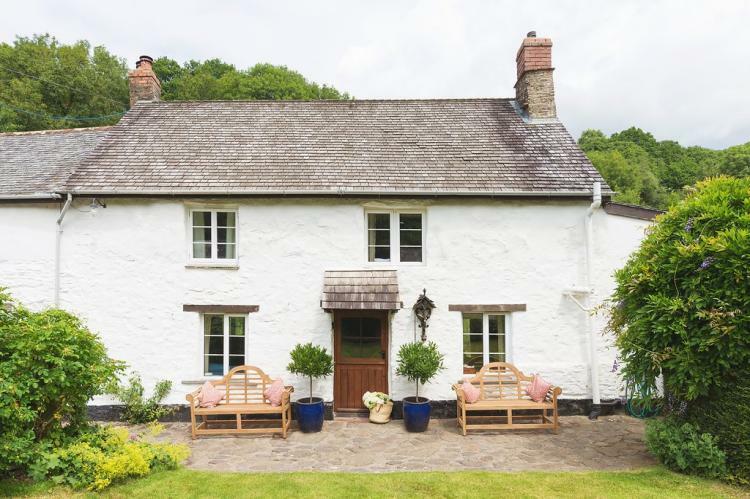 It is set in a valley beneath the village of Bratton Fleming in North Devon with mature riverside gardens that lead into the open countryside, and has extensive woodland views. Public footpath right on the doorstep. There is a private lawn both in front and behind the property, bordered on one side by the stream. The garden is available for guests’ sole use, however please note that it is not enclosed by a fence. There is also outside table and chairs provided so you can make the most of this stunning location. 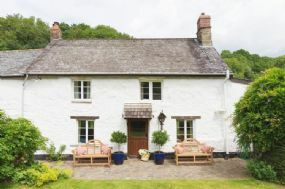 Local Area - The Farmhouse is set on the western edge of Exmoor National Park within walking distance of the village of Bratton Fleming with which has a Village Store, Post Office, garage workshop and 2 churches. The larger town of Barnstaple is approx 8 miles, here you will find supermarkets and a variety of other shops. There are many charming village pubs and restaurants to explore. The Fox & Goose at Parracombe and The Black Venus at Challacombe are particularly recommended.